Eye Can’t Hear You! 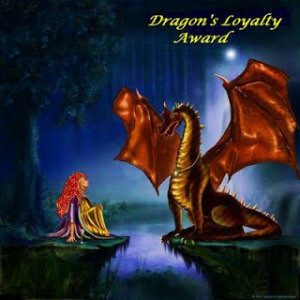 Nominated me for a Dragon Award a few weeks ago while I was south visiting family. A few others I follow aren’t about hearing loss. An interesting new to me blog is called Adventures in Low Vision. I like reading her perspective about having lost one of five senses. I see a lot of similarities with my hearing loss. So I can’t list 15 blogs I follow, I listed 4 out of seven I follow. Now I’m supposed to list seven interesting things about me. I’m starting my own business as a hairdresser. Today is an inspection of sorts and this deserves a whole blog in itself later. I manage to travel and get around lots in spite of a very limited income. I’m trying to get book together about hearing loss. I have 18 chapters so far in rough draft. Burning Man is a part of my history. It taught me a lot about individuality and creativity. At 19 years old I did a fire walk. My dream car was a Jeep Wrangler, soft top. In 2007 I got one and about a year ago or so, I sold it. It wasn’t that big of a deal in the end. I used to be a neat freak, not being able to sleep unless everything was in it’s place. I got over it after having kids realizing it would only drive them and me crazy. Good luck with your business! What is a fire walk? And, thanks for the blog mention. I’m glad you enjoy my writing. I find your blogs interesting. Thanks! I hope the new business does well too for many reasons. A fire walk – I walked on a bed of red hot coals. A very powerful experience, makes you feel like you can do anything. Unfortunately, reality came a long shortly there after and slapped me back down to earth. lol The world lost it’s magic for a long time but I think it’s coming back slowly.